Partnered with the Milwaukee Jewish Community, Camp Interlaken JCC hosts a Teen Israel Trip for campers entering 11th grade. Directly following our campers’ K’far Noar (Teen Village) summer entering 11th Grade where they focus on Eretz Yisrael (love of the land of Israel) as their core Jewish value, they are ready and excited for their Israel trip. Each year we send anywhere from 20-35 campers on this fabulous experience led by an Interlaken staff member and Israeli staff. The four week program begins in Milwaukee with the Teen Mifgash, partnership, program. As a part of theMifgash, twelve Israeli teens from the Sovev Kinneret Region, Milwaukee’s P2G region, travel to Milwaukee to spend the week with our American teens where they learn about Judaism in the diaspora and become a part of both the Interlaken Family and the Milwaukee Jewish Community. 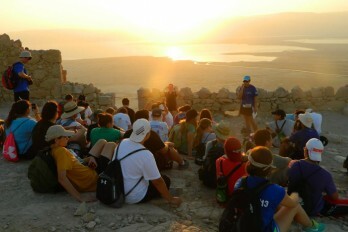 At the end of the mifgash week, our American teens leave for their adventure. They begin their experience in Poland where they begin to understand Jewish life prior to the existence of the state of Israel. A few days later, they head to Tel Aviv to begin to understand the history of Israel and continue their Israel journey from there. 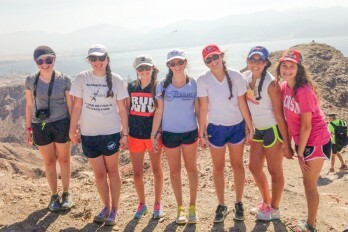 After spending three weeks touring Israel, learning within their community, and visiting with the twelve Israeli teens that joined us in Milwaukee for the Teen Mifgash and their families, our campers return home to Camp Interlaken with a greater sense of Zionism, a stronger connection to Judaism, and a meaningful connection to their Israel. The teens will celebrate a Shabbat at Camp Interlaken as they share their experiences with their Interlaken family and spend their final Shabbat together as a group before returning home to their respective homes. As we are constantly evolving and working to build a better itinerary from lessons learned in the previous years, here is a link to a past itinerary. 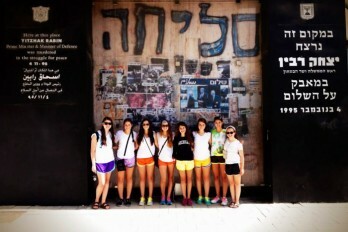 ”L’dor v’Dor” From generation to generation – Understanding Our Past to Build Our Future: Jewish History & Israel. Israel is like a history book come to life. Build the bridge from the stories of the Bible to the Modern era. 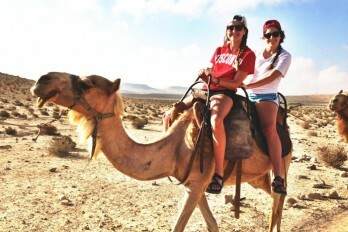 “Mifgashim” Encounters – Creating Meaningful Dialogue between North American & Israeli Teens. Meet Israeli teens for a mifgash, a cross-cultural encounter, spending quality time together and getting to know one another. “Manhigut” Leadership: Learning Values & Gaining Skills. While Experiencing Israel learn how to dream and bring your ideas to life just as entrepreneurs in Israel are doing (from Ben Gurion to the Start-Up Nation). “Gvanim” – Explore the Diversity & Complexities of Israel and its People. Israel has become a modern fascinating state filled with the complexities of a nation created by a melting pot of people from all around the world. Learn about the diverse populations, cultures, languages, and lifestyles that not only make Israel unique, but also brings up a myriad of social complexities and issues. ”Ruach” – Judaism & Spirituality: A Pluralistic Approach to Discover the foundations of Jewish heritage and experience Jewish tradition in a pluralistic manner. Celebrate Shabbat as an individual or as a part of a community. “Kehillah” Community – Community building is one of the most important values for JCCs. Throughout this trip we will model the ways that communities strengthen themselves by creating meaningful connections and learning from one another.